Exercise and yoga both involve bodily movements, which is why it is common for many people to consider yoga is a form of exercise and vice versa. However, there are important distinctions between the two. Exercise refers to any physical activity or exertion, which causes muscles and certain vital organs in the body to become energized. Most exercises also improve blood circulation, which is beneficial to a person’s overall health. Furthermore, certain types of exercise are helpful in preventing illnesses or diseases by keeping unwanted weight off the body. Yoga, on the other hand, does not only deal with the physical health of an individual. It is a discipline based on ancient Hindu tradition, which is concerned with integrating the physical, spiritual, as well as mental well-being of a person. In fact, yoga is a term that loosely translates to “unite.” Proponents believe that the preparatory prerequisite to accomplishing a higher state of consciousness is a healthy and balanced physical body. People often exercise for two main reasons: to have better physical health overall or to achieve weight loss. Of course, there are also other reasons, such as improving blood circulation, developing athletic skills, toning the various muscle groups, and others. In other words, the ultimate goal of a person who exercises is to improve his or her physical appearance or physical health. While most people who do yoga can also improve their physical appearance and health, the ultimate goal of yoga is to reach a higher state of consciousness. To achieve this, they execute yoga postures (asanas), practice proper breathing (pranayama), perform appropriate body gestures (mudra), and do internal cleansing (shatkarma) by getting rid of emotional blockages on a person’s energy centers (chakras). Exercising involves the sympathetic nervous system, which is responsible for reducing digestive secretions, contracting blood vessels, and speeding the heart. It also counteracts the physiological effects of the parasympathetic nervous system. As a result, exercising produces a feeling of tiredness. Yoga involves the parasympathetic nervous system, which counteracts the physiological effects of the sympathetic nervous system. It is responsible for stimulating digestive secretions, dilating blood vessels, slowing the heart, and constricting the pupils. In other words, doing yoga produces a feeling of relaxation. Exercising typically requires equipment, which is limiting in terms of the physical activities one can do. It is also limiting in terms of where one can perform the exercise/s. 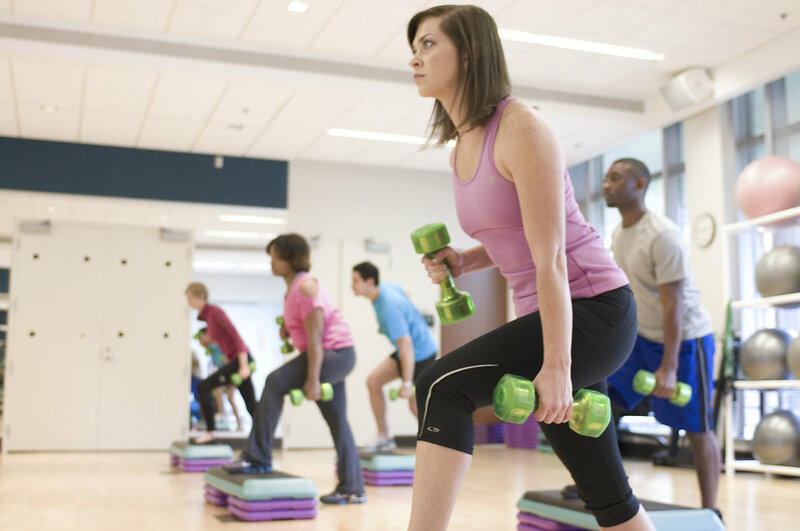 Some exercises even require one’s participation in partner or group activities. Yoga is generally self-sufficient. This means it can be performed without any equipment. Even a yoga mat is not an absolute requirement. All a person needs is adequate space for the poses to be performed. Exercising, particularly one that involves cardio, results in increased oxygen consumption. One of the focuses of yoga is proper breathing. Consequently, proper breathing techniques lead to reduced oxygen consumption. The nature of most exercises results in moderate to high caloric consumption, which is usually why most people are typically famished after exercising. Yoga, on the other hand, results in relatively low caloric consumption, which is why yogis generally consume less food than people who exercise. Exercising is a catabolic process, which is characterized by destructive metabolism. In other words, it is capable of breaking down the energy. Yoga is anabolic, which is characterized by or promoting constructive metabolism. In other words, it is capable of conserving energy. Exercising normally requires rapid, forceful movements. On the other hand, yoga generally calls for slow, dynamic movements. Exercising helps tone the muscles. Yoga is not concerned with toning the muscles per se. However, many poses or movements lead to muscle strengthening. Exercise involves a high risk of injury because most physical activities greatly affect the muscles and ligaments. Yoga involves a low risk of injury because the poses have little impact on the muscles and ligaments. Exercising is often performed by people who are in good health since many of the activities are difficult to do when one is sick. Furthermore, while there are exercises that older individuals can perform, the more strenuous activities are usually done by younger people. Yoga can be performed whether the person is sick or not. There is also no age limit when performing most yoga poses. Most physical exercises have the tendency to over-work the joints, which can result in stiffness or rheumatism as the person grows older. Yoga has no adverse effects on the joints. Exercise is goal-oriented, which is why most activities are highly competitive. Yoga is non-competitive since it is more focused on the process. It is worth noting that yoga as referred to in this article is the ancient form of the discipline. Today, you will find a number of variations of what is considered yoga to adapt to Western tastes and preferences. This is why there is yoga combined with weight training or yoga combined with cardio to gain the benefit of both yoga and exercise. Bikram – One of the most popular types of yoga, Bikram yoga is performed in a room that is heated to up to 105 degrees and 40 percent humidity. As a result, performing the 26 set poses can feel very strenuous. Vinyasa – Vinyasa yoga is ideal for people who love doing HIIT. The poses are performed in a dance-like fashion, which means there is no time to linger on a particular pose. The continuous movement involved in Vinyasa makes it attractive to runners and endurance athletes as well. Ashtanga – Ashtanga yoga involves six sequences of poses that become progressively strenuous. Kundalini – Kundalini is both a physically and mentally challenging type of yoga that requires repetitive physical exercises to be performed along with intense breathing. It also involves meditating, singing, and chanting. Iyengar – While not as physically taxing as the other types of yoga in this list, Iyengar yoga makes use of props like harnesses, straps, incline boards, and blocks. Due to its nature, it is sometimes referred to as “furniture yoga.” Iyengar yoga is similar to exercise in that it requires some form of equipment to perform the poses. Exercise and yoga have become synonymous in the present-day usage of the terms. But, while yoga involves certain physical activities or poses, which can be translated into exercises, exercise typically does not involve yoga, which aims to help a person attain a higher state of consciousness. Wendi Garcia. "Difference Between Exercise and Yoga ." DifferenceBetween.net. March 20, 2018 < http://www.differencebetween.net/science/health/difference-between-exercise-and-yoga/ >. Contributor. “The Difference between Exercise and Yoga.” School of the World, 29 Oct 2012. Web. 5 Feb 2018. Angela Goodwin. 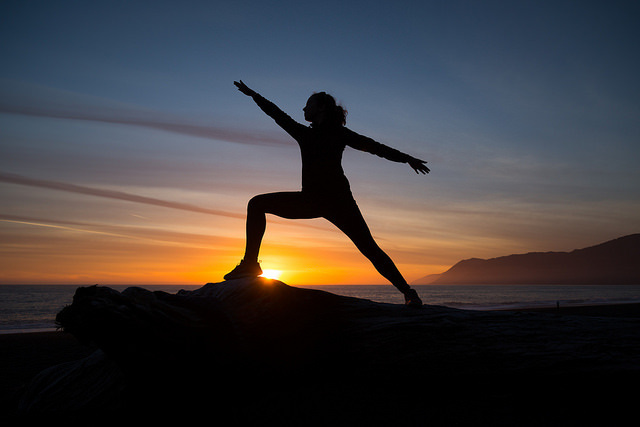 “What is the difference between yoga and other exercise regimens?” Yoga Bradford. 12, Oct 2013. Web. 5 Feb 2018. Housegoa. “The Difference between Asana and Exercise.” The Beach House Goa, 3 Oct 2016. Web. 5 Feb 2018. Modasta Editorial. “9 Differences between Exercise and Yoga.” Modasta, 8 Feb 2017. Web. 5 Feb 2018.